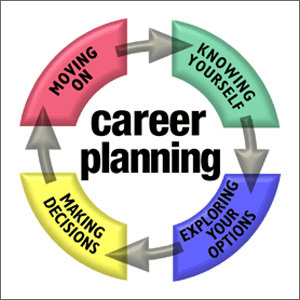 The Career Planning Survey is a paper-based career assessment system designed to help students in Grades 8 through 10 identify and explore personally relevant occupations and high school courses. The assessment elements consist of an interest inventory, an inventory of ability self-estimates, and two optional academic ability tests. In addition, students can complete checklists assessing their work-relevant experiences and the characteristics they want in a job. Counselor materials encourage the use of the Career Planning Survey in group settings to teach students how to gather and consider self and occupational information essential to the exploration of educational and occupational options. The Career Planning Survey is published by ACT. It is one of several ACT programs (such as PLAN, EXPLORE, and DISCOVER) that use the ACT World-of-Work Map to graphically show students how their assessment results relate to occupations and how occupations relate to each other. The Career Planning Survey was introduced in 1997. The revised Unisex Edition of the ACT Interest Inventory (UNIACT) assesses preferences for work-related activities. 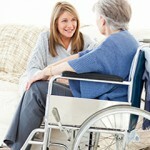 The 90 items emphasize activities that are familiar to people either through participation or observation. Scales are organized according to the six types of basic interests described in John Holland’s theory of careers. The Inventory of Work-Relevant Abilities (IWRA) obtains informed self-estimates for 15 abilities shown by research to differentiate occupational groups. Example abilities are mechanical, sales, leadership, and scientific. Scales are organized according to the six types of basic interests described in John Holland’s theory of careers. As described in the Career Planning Survey Technical Manual, IWRA has been empirically shown to improve the career exploration validity of tested abilities. Two optional academic ability tests assess level of development in reading skills and numerical skills. Results are nationally normed by grade level. The unique Career Planning Survey score report is the only paper-based score report that visually links both interest and ability results to occupational options. Both UNIACT and IWRA scores are converted to directional information on the research-based World-of-Work Map, permitting students to visually compare their interests to their abilities and to see career options in line with each. A booklet accompanying the score report guides students to information on more than 500 occupations. These materials use a step-by-step approach designed to broaden career horizons while simultaneously providing focus for career exploration. As described in the Career Planning Survey Counselor’s Manual, panels of high school students and counselors reviewed assessment and student materials for age appropriateness. The Career Planning Survey—Japanese Edition was introduced in Japan in 1998. There are currently two versions: a paper-based version and an Internet version. It is used by college students to explore personally relevant occupations, and by adults in career transition. These products are jointly owned by ACT and Nippon Manpower Co., Ltd.
ACT. (2001). Career Planning Survey counselor’s manual. Iowa City, IA: Author. ACT. (2001). Career Planning Survey technical manual. Iowa City, IA: Author.